​In Roman times the Meadows must have been a pretty unpromising plot of low lying boggy ground on the flood plain of the Dee. 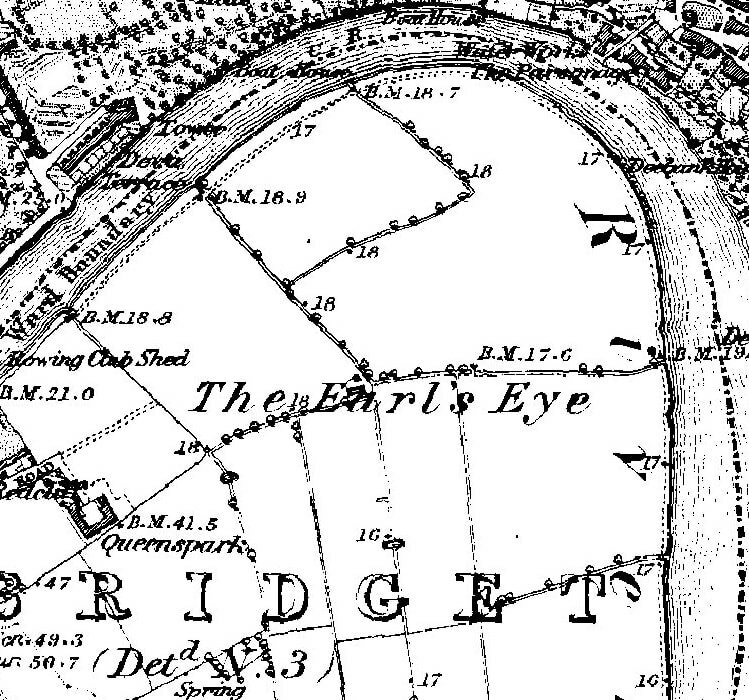 The medieval names for the area, King’s, Earl’s and Newbold’s Eye, where eye means island, suggest that part of the land spent periods under water. 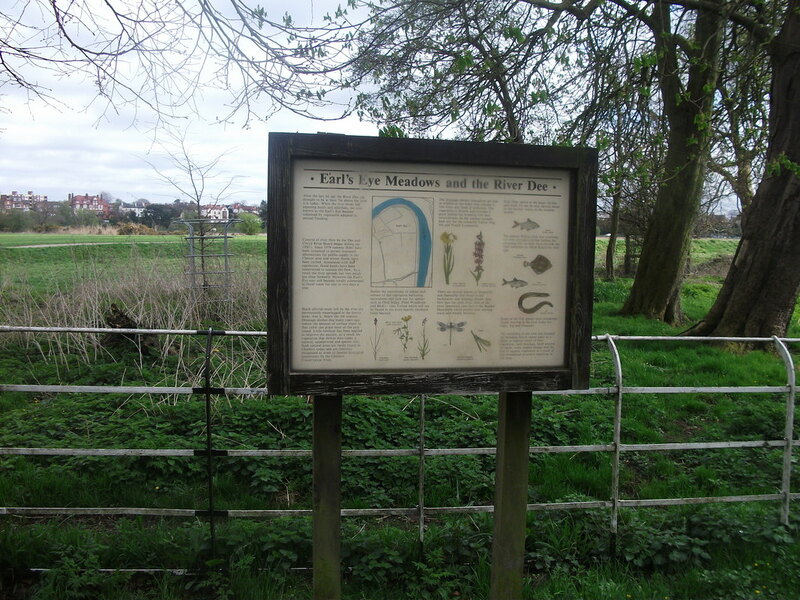 The individual field names also indicate the wet nature of the land with names such as Bog Field, Bottom and Gorsty Bottom Meadow (bottom = water meadow). Not all the Meadows were boggy. An Archaeological Audit conducted in 1993 found evidence of arable farming on the higher land in the north western corner of the plot where ridge and furrow formations were observed. These ridges are caused by repeated ploughing which moves the soil to a central strip. Over the last 200 years the Meadows have become less wet with the flow of the Dee controlled, the building of a substantial embankment and drainage ditches on the field margins. Although many of these ditches have silted up, their outline can be seen on modern aerial photographs. 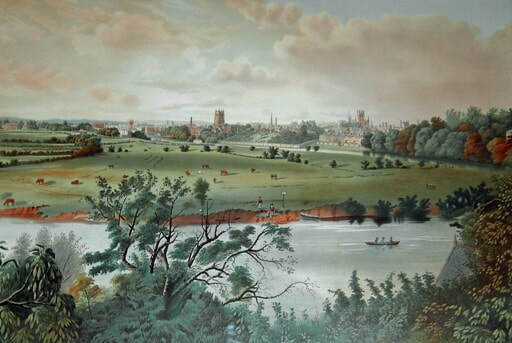 Georgian and Victorian engravings show cattle grazing on the Meadows and that they were also a popular venue for sporting activities with the Chester Regatta based both on the Meadows and on the opposite bank. The Meadows ownership can be traced back more than 1000 years. In the tenth century they belonged to the crown, but from 1071 were administered by the Earls of Chester. The first Earl, Hugh Lupus, was given the land by his uncle William I. Hugh is believed to have been responsible for the construction of the weir to provide a constant source of power for the water mills near the Dee Bridge. Although the weir reduced the tidal flooding, it caused problems further upstream, hindered navigation and resulted in much unrest amongst those affected. When the seventh earl died without any heirs in 1237, the land was reclaimed by the crown. However, in 1285 Edward I sold almost half the Meadows some 29 acres to a Surrey nobleman, Randle of Merton. The land remained in the hands of the Mertons and their heirs, the Gleggs of Gayton until the middle of the 19th century. Ownership of the other portion is less clear. Although it is known that Gilbert Gerrard acquired a section of the Meadows in 1556 from Sir Thomas Venables. This holding was passed on to William Gerrard and subsequently Gilbert Gerrard, who is recorded as having sold 30 acres to George Beverly in 1588 for £400. 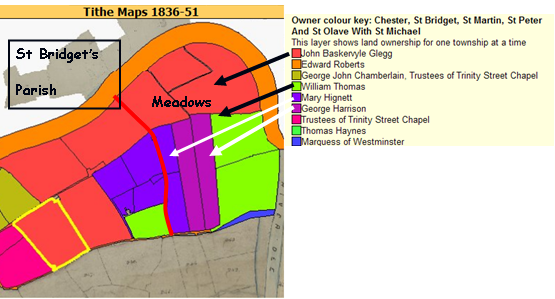 The 1845 tithe map shows that most of the Meadows, and much of Queen’s Park, was owned at the time by an heir of Randle of Merton, John Baskervylle Glegg. Smaller portions belonged to William Thomas, Mary Hignett and George Harrison. I am not sure of the precise date but in about 1850 the Meadows and much of Queen’s Park were bought by three brothers, Samuel, John and Joshua Fielden. The Fielden’s wealth came from a highly successful cotton spinning business based in Todmorden. They had already invested in railways and shipping and were looking for additional investment opportunities. In 1853, they began to sell plots of land for housing development in Queen’s Park. 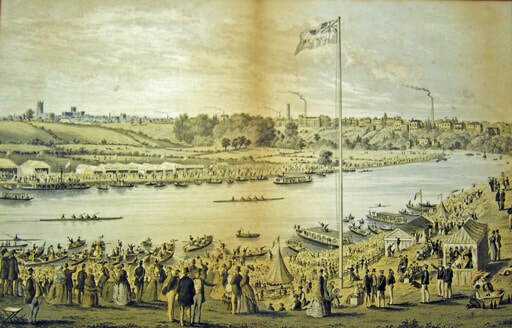 The timing was immaculate following the erection of the first suspension bridge by Enoch Gerrard in 1852, which enabled easy access to the city from Queen’s Park. 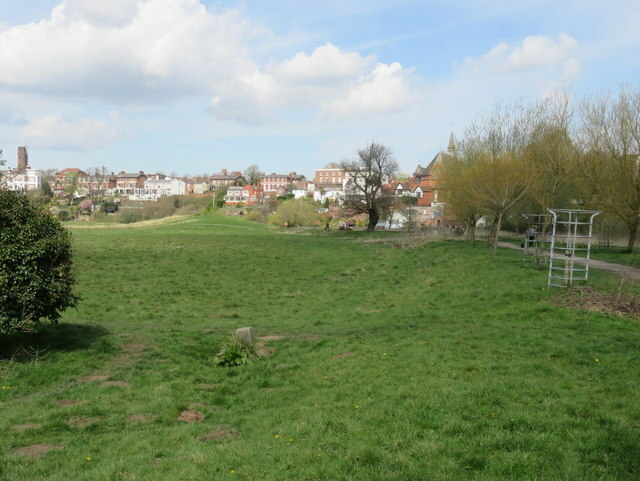 The Fieldens bought an additional piece of the Meadows, Near and Bottom Meadow, in 1871 from Charles Parker, Cecile Parker and Richard Barton. They paid £1250 at an auction held at the Nag’s Head (now Boot’s Chemists) in Foregate Street in 1871. When Samuel Fielden died in 1890 his estate passed to his only son John Ashton Fielden, who gained ownership of all the family holdings including Queen’s Park when he paid his uncle (John Fielden) £72,250 for his half share in 1890. The discussions moved slowly forward, and by the end of 1928 negotiations were underway to purchase 64.5 acres of low lying ground, as a proposal to purchase the remainder of the high land had provoked a claim for compensation “greatly in excess of the amount contemplated”. 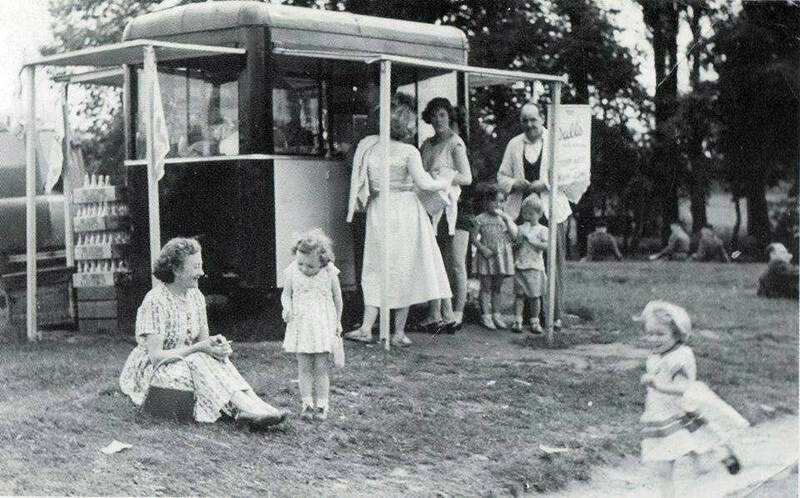 Finally on 5 June 1929 Harry and Phyllis Brown bought the Meadows for £5000 (more than £300,000 today). Ownership was transferred in a formal ceremony at the end of June when Harry and Phyllis Brown presented the Mayor with the title deeds. 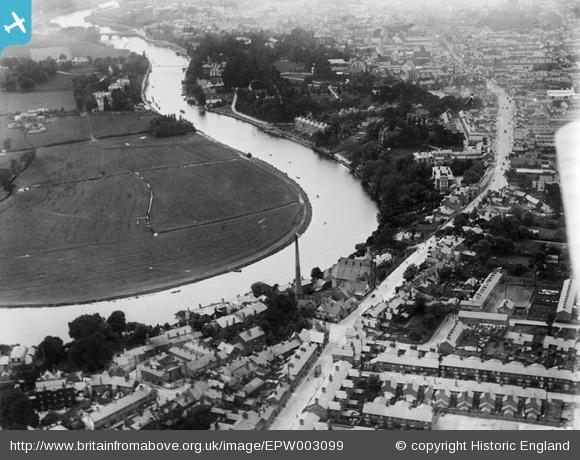 In his speech Harry Brown asked “for the land to be forever maintained and preserved as a recreation ground for the use of citizens.” This statement which imposes a commitment on the custodians was originally omitted from the council minutes, but inserted a month later. Two additional pieces of higher land were bought by Phyllis Brown in 1939 and also gifted. As a result of his intransigence during the protracted negotiations, it is easy to give John Ashton Fielden “a bad press”. However, like his mother and father he was a philanthropist, giving, amongst other donations, vast sums to hospitals in Cambridgeshire and London. During the First World War he bought, equipped and paid for the running costs of a small hospital ship. In the Second World War he gave more than £90,000 to the war effort and bought four Spitfires and numerous ambulances. He died in 1942. Let us hope that we can help to fulfil our part of the deed of gift. “For the land to be for ever maintained and preserved as a recreation ground for the use of citizens”. 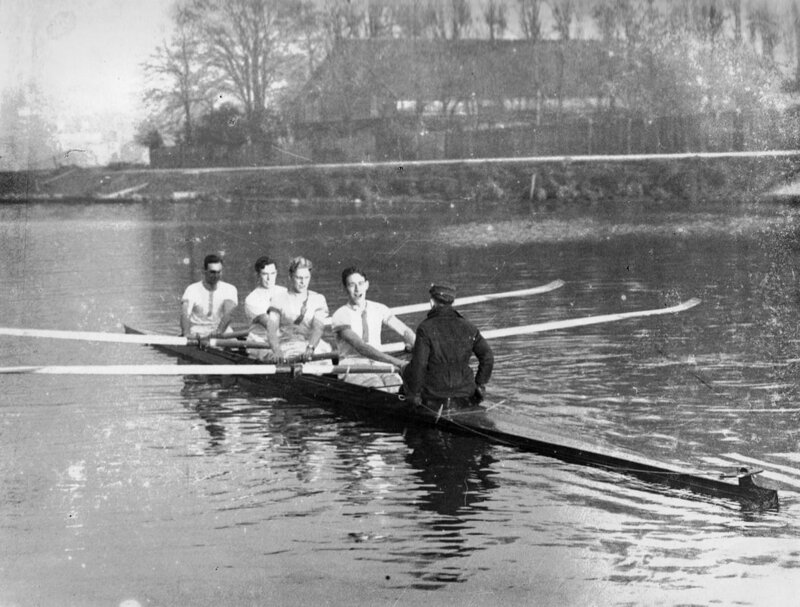 Royals beating Nemesis of Manchester during the 1854 Chester Regatta © Cheshire West and Chester Records Office.